When I took my first class on International Relations in college I was especially excited to participate in a exercise at the end of the term: everyone in class would get into groups and simulate a regional conflict with individuals acting as certain countries. I got Turkey, and it was my job to negotiate Georgian membership in NATO. The group included someone playing Georgia, the US, Iran, and Russia was supposed to have a representative but she was sick that day. It ended with me (Turkey) yelling at Iran’s sassy representative until the United States mopped things up and signed a treaty. In reality Turkey and Iran have had several shouting matches throughout history, dating back to the Ottoman and Safavid empires. We were allowed to bicker in part because the professor was distracted by 30 other students at the time but also because certain facts about the group presented themselves. Iran and Turkey are similarly sized countries with populations of about 75 million each, with economies sized by the IMF at $930.236bn and $1,054.560 respectively. Before the US got involved, neither me (playing Turkey) nor Iran’s representative had enough of a relative advantage to sway Georgia; it took a superpower to alter the dynamics of the group. International politics aren’t usually that simple, but the exercise has always intrigued me. I’ve wondered since then what patterns you could find by taking a simple measurement of a country’s relative power (like wealth) and looked a differences within real international working groups. In this blog I want to look at relative power and measure it within various international organizations. But before I go any further I want to make one point clear: I am not attempting to predict actual influence in international organizations, I am merely measuring theoretical influence in these organizations and leaving it up to the viewer to draw whatever conclusions from this. Having said that, I’ve found several articles about recent events that relate to the power-dynamics in these organizations. 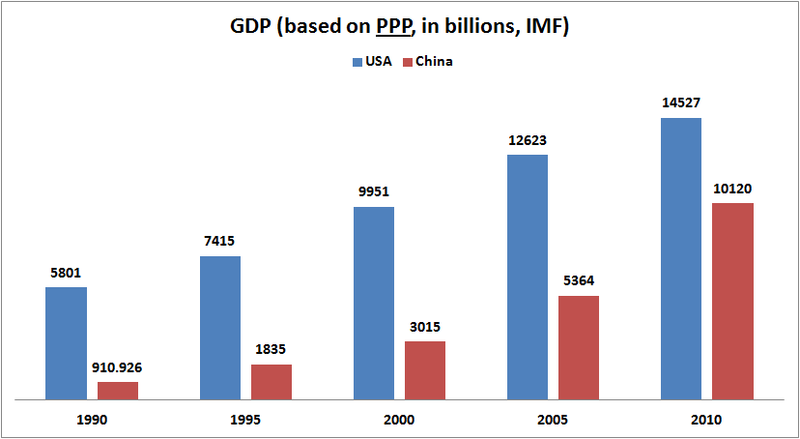 For most of these graphs I will be using Gross Domestic Product based on Purchasing Power Parity as a basis for potential influence in groups. 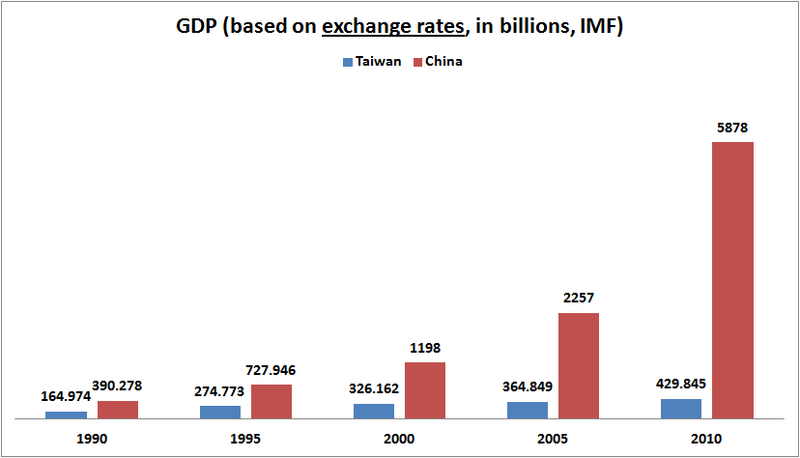 I collected the statistics from the IMF (here) and all but a few exceptions are from 2011. I think this graph is especially important as recent uprisings in the Middle East have captured the attention of the world. Like so many things in the region, the uprisings must be viewed in a context includes more than just relative GDP, but this graph offers some perspective on recent events. Just as Tunisia had seen its president abdicate power and Cairo’s Tahrir Square was swelling with protestors, the Gulf Cooperation Council (led by Saudi Arabia) invited the Morocco and Jordan to join the oil producing group. The move was widely interpreted as an effort to stymie the revolution retain Saudi Arabia’s influence in the Arab League. 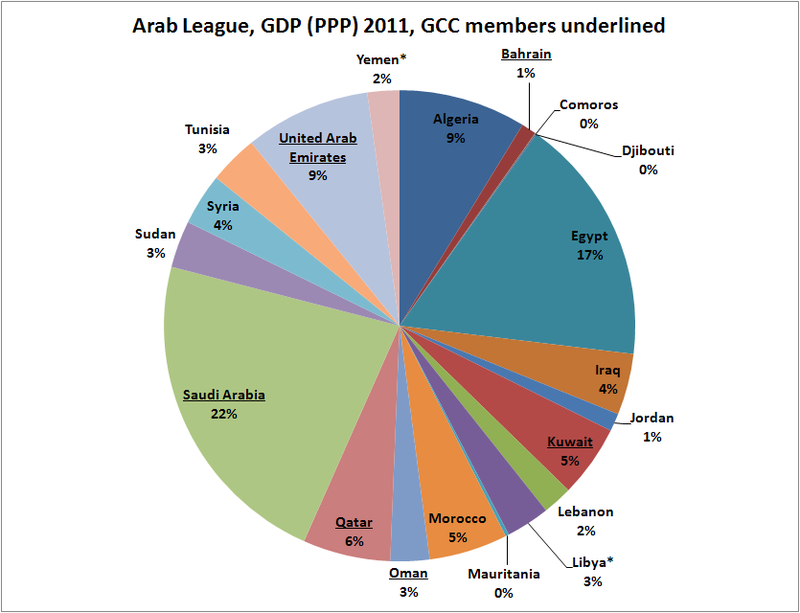 Even without adding Jordan and Morocco the combined wealth of the Gulf Cooperation Council makes up 46% of the Arab League, it would have a majority of the League’s wealth were it to include the two monarchies. Palestine is a perennial feature of Arab League summits, so it should come as no surprise Arab states frequently vie for influence over the politics of the territory. Egypt has repeatedly tried to broker unity within the Palestinian government; Saudi Arabia has tried to take the initiative on Arab leadership in the Israel-Palestine conflict. 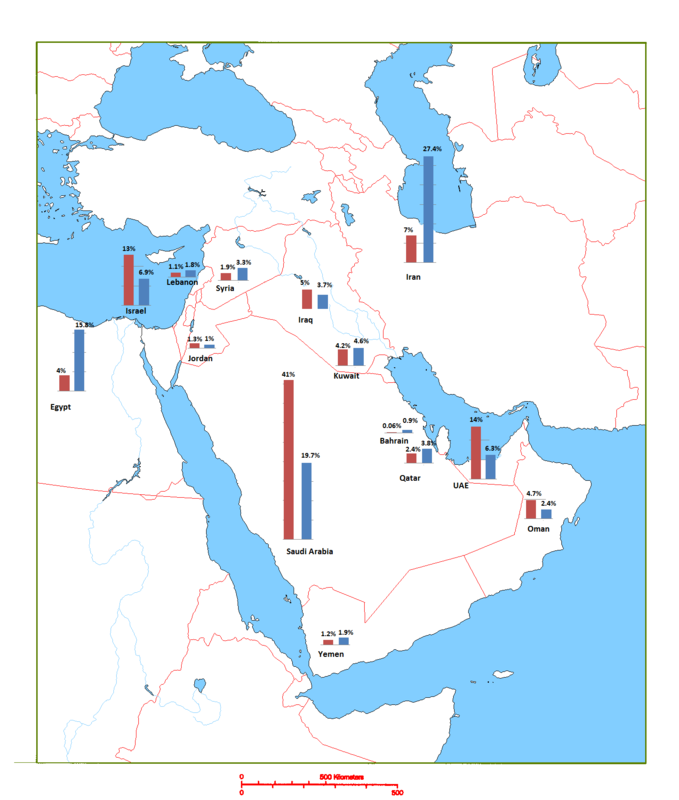 Personally, I think it’s no coincidence that the two largest economies in the Arab League have both taken such a critical role in the Israel-Palestine conflict. While Arab League efforts to resolve the Israel-Palestine have stagnated recently, the situation in Syria has been very much on the agenda. 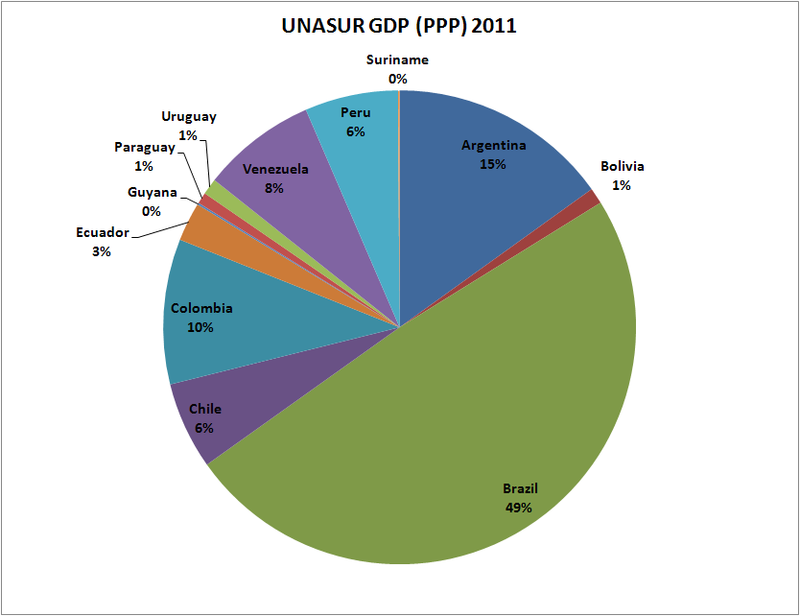 UNASUR (The Union of South American Nations) is the main body for regional integration in South America, but its significance to greater Latin America was enough to move Mexico and Panama to observe the treaty signing that created the institution. It’s not hard to see how relative power in this institution could easily mirror the simulation I participated in in class. In 2010 a dispute between Colombia and Venezuela gave the new organization a role in resolving a long-brewing confrontation. Like Turkey and Iran, Colombia and Venezuela are neighbors with somewhat similar means ($467bn GDP for Colombia versus $370bn Venezuela) but very different ideology/foreign relations. Colombian president Álvaro Uribe, having just signed an agreement with the US to build a new base there, accused Venezuelan president Hugo Chávez of giving FARC material support. Pressure from UNASUR helped to prevent war and in August the two countries resumed diplomatic relations. While UNASUR represents a successful South American effort towards integration, the wider Latin America has seen varied progress towards the goal of integration. As the Arab League seeks to integrate the Arab World, CELAC (The Community of Latin American and Caribbean States) seeks to integrate Latin America. Both groups therefore exclude obvious regional powers: the Arab League is often maligned for excluding Israel and Iran, while CELAC was created (intentionally) to promote Latin American integration without US, Canadian, or European involvement. A potential obstacle to CELAC’s success is that unlike UNASUR, Brazil faces a rival in Mexico. While Brazil is a decorated member of the BRIC (a bloc of emerging economies) and has a much larger population (190 million vs. 112 million) Mexico grew at a quicker pace in the last two quarters. Perhaps in relation to this recent shift, Brazil and Mexico are now in trade dispute with one another. Guido Mantega, Brazil’s finance minister, has recently suggested that the trade group Mercosur (part of UNASUR) increase its tariffs with outside countries, including Mexico. This doesn’t have to spell doom for the dream of Latin American integration, but it does reveal a potential rivalry that could threaten wider regional integration. CELAC has been championed by leftist leaders in the region like Bolivia’s Evo Morales and Hugo Chávez as an alternative to the Organization of American States, since it lacks the US and Canada. At a summit last year two declarations were adopted by the organization that reflected this reality; Argentina’s claim to the British-controlled Falkland Islands (called the Malvinas in Argentina) was supported and the US embargo on Cuba was criticized. While these declarations were adopted by all CELAC members, the body went short of calling for any direct action on the issues. Journalist Andrew Cawthorne posits that pro-US members like Mexico, Chile and Colombia have prevented CELAC from adopting more radical action against Western interests in the region. This scenario is an example of how organizations can easily lose the capacity to act unilaterally when political and economic divisions are present. 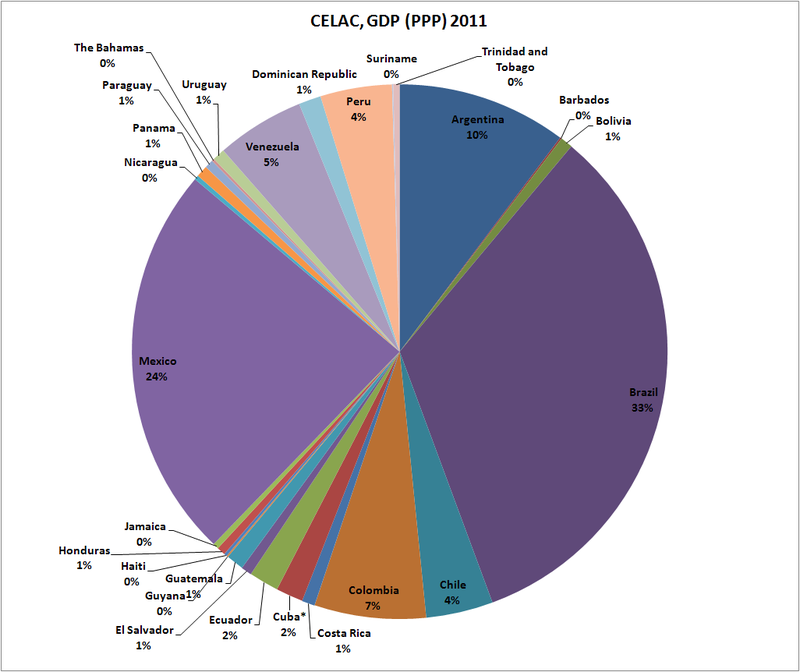 The combined GDP share of Mexico, Chile and Colombia represents 35% of CELAC. Sometimes regional groups can be so effective that they’re summits become used to coordinate bigger goals than their membership suggests. 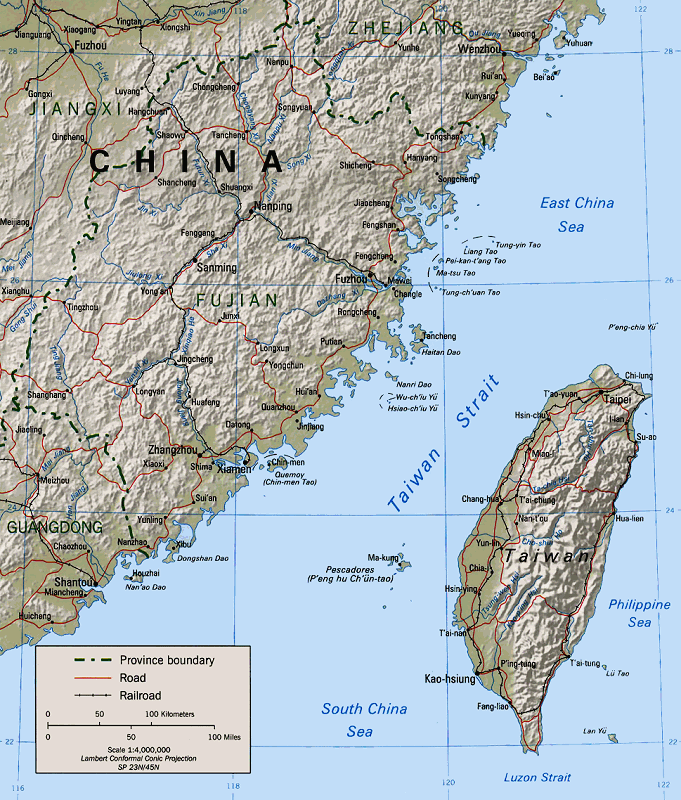 This was the case with ASEAN (Association of Southeast Asian Nations), a group founded in 1967 to represent Asian countries sandwiched between giants like China and India to the north and Australia to the south. Security and economic integration are both included in ASEAN’s charter, but the group’s effectiveness has been varied between the two mandates. Cambodia and Thailand have had an ongoing border dispute that has persisted despite an ASEAN brokered agreement that includes Indonesian monitors in the area. But while ASEAN’s effectiveness at settling regional conflicts has been varied, it’s economic importance cannot be understated. The group plans to implement a Free Trade Agreement in 2015, which has smaller countries like Timor-Leste eager to join quickly. ASEAN attracting small regional nations may not seem like a big deal, but certainly role in the response to the 1997 Asian financial crisis was. 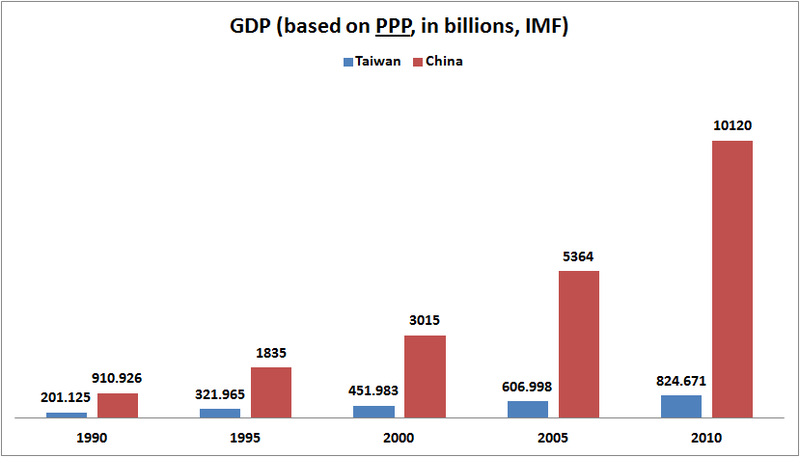 The financial crisis devastated much of Asia and the IMF’s response was highly criticized by many inside Asia and beyond. In 2000, finance minsters from ASEAN member-states plus China, Japan, and South Korea met at and produced what is now called the Chiang Mai Initiative. What started out as a currency-swap agreement has evolved (at least conceptually) into a regional bailout fund, with a role akin to the IMF itself. The initiative is managed at a summit connected to the annual ASEAN meetup, with the expanded group called ASEAN+3. 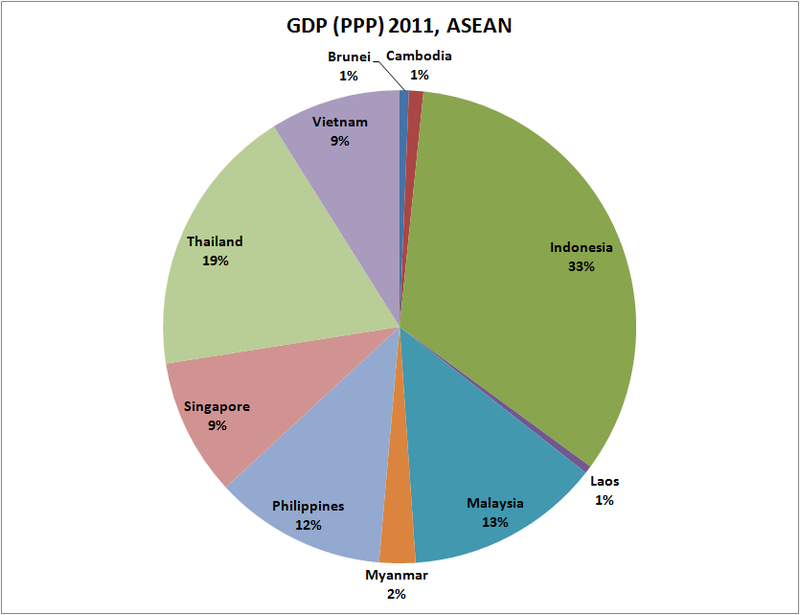 Now, with a bailout fund of $240 billion, ASEAN+3 is a critical piece of Asian integration. What does a graph of this expanded group look like? 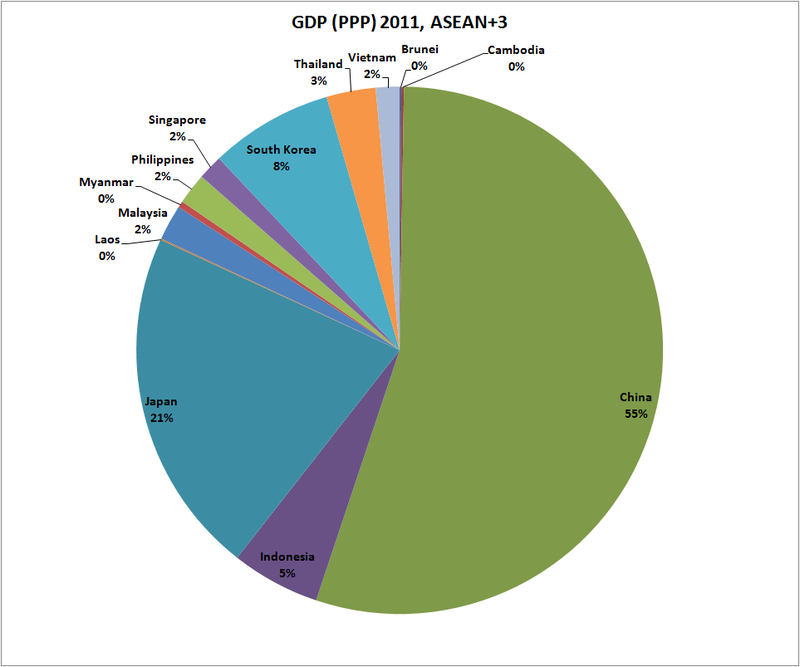 As evidenced by this graph, ASEAN has an outsized influence on the region it now helps to integrate. When it comes to challenges facing a regional organization, the AU (African Union) has to be far in the lead. of the 20 countries with the lowest Human Development Index ranking 19 are members of the AU (source). With recent coups in Madagascar and Mali and Zimbabwe in perpetual crisis, the AU exists in a region that needs security and economic cooperation desperately. The AU faces several internal conflicts: the Arab north is sometimes ambivalent about the role in the AU, something brought under the spotlight when Jacob Zuma and other leaders tried to broker an AU peace plan in Libya. The AU opposed any foreign military intervention, even as Qaddafi’s troops threatened to massacre Benghazi. With a somewhat disengaged Arab north, the largest countries that back the AU enthusiastically are Nigeria and South Africa, whose support is often critical for AU resolutions. Despite being a diverse organization with large regional/ethnic divides the AU has acted decisively on occasion. Led by Nigeria’s ambassador B. Paul Lolo the AU suspended Mali swiftly after an illegal coup took place. 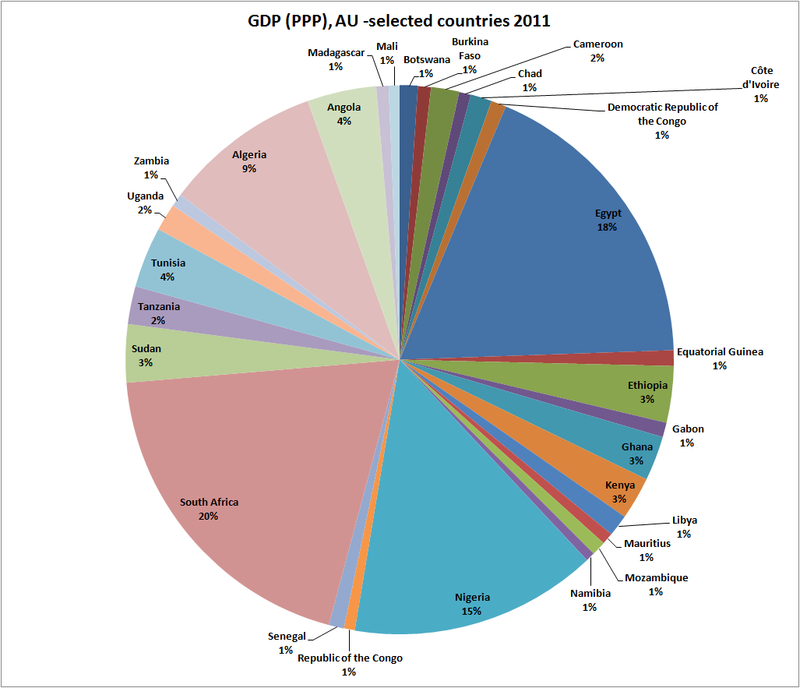 But sometimes the perverse influence of geopolitics has been maligned in the AU. Notably, Mugabe’s Zanu-PF government in Zimbabwe was accused of being “sheltered” by a sympathetic administration in South Africa during the worst political violence in 2008. Whether or not the AU suffers from the problems associated with power dynamics, its success is critical for the region, and perhaps the world. 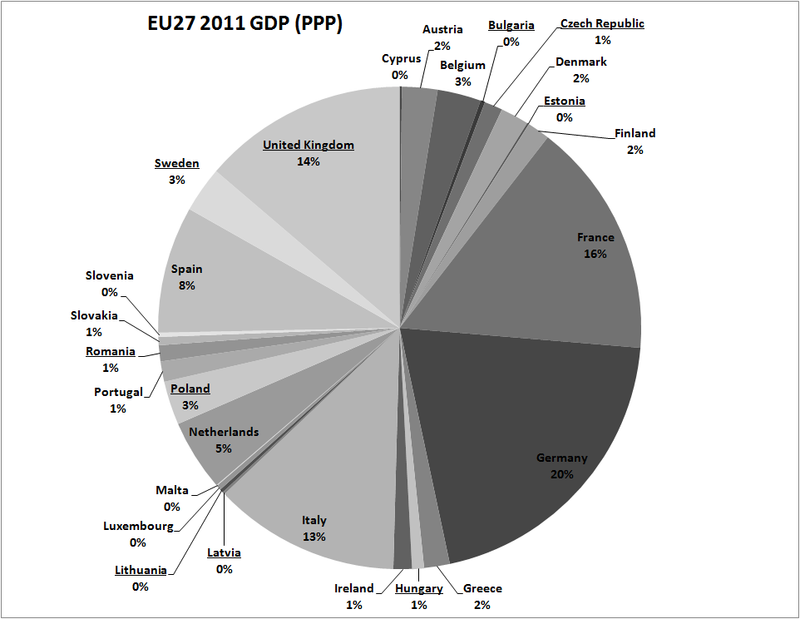 With the recent election drama in France and Greece it would feel remiss to leave out the European Union in this blog. I’ll leave coverage of the eurozone sovereign debt crisis out of this as I have covered it in several other posts (and I plan on writing more shortly), but I’ll highlight a few broad observations about the EU’s politics. The UK is the largest non-Euro member-state and is often seen as the most eurosceptic member. This has distanced its role in enhancing the powers of the EU and has sometimes seen it act as a check on Franco-German aims to do so. One of the biggest recent events to upset this equilibrium has been the election of French Socialist François Hollande. German chancellor Angela Merkel actively supported his rival, incumbent Nicolas Sarkozy during the election, and many now ponder what impact the election will have on Franco-German relations. I’ll write more on this later in a dedicated EU/EuroApocalypse post. I want to reiterate a point: as compelling as I find all of this, I have to be intellectually modest here and admit that most of it is conjecture. I’ve found most of the articles supporting this theoretical perspective on group power because I probably have a bias when I read articles about international news. Despite this, I’ve found myself drawn to this interpretation of events; I simply can’t look at news relating to China’s vetos in the UN Security Council, or India’s nuclear trade agreement with the US without seeing this interpretation of events shaping my opinion. In the very least, I hope you’ve found this to be interesting to read about. What happens when we apply the same measurements to South Asia, where India and Pakistan have been long time rivals? We see that unlike China in East Asia, the economic growth in South Asia has been fueled by India with only Sri Lanka keeping up pace. 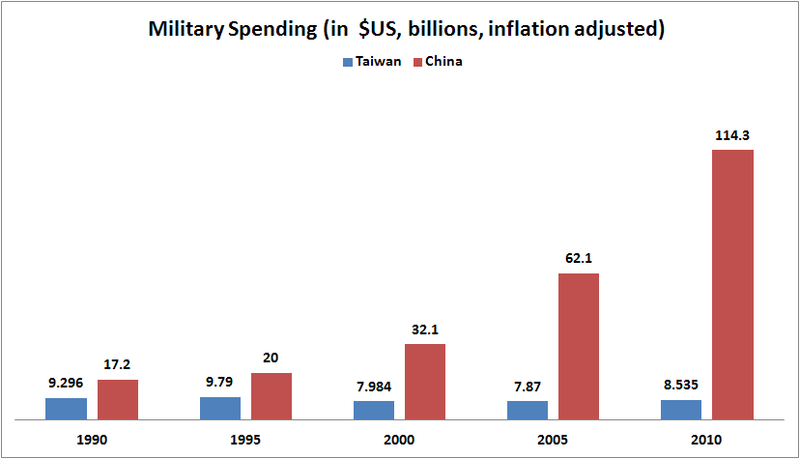 Like China (and perhaps other BRICs) India has seen its military spending come closer in line with its economic dominance of the region. It’s worth pointing out that Sri Lanka and Pakistan have been spending more on their military than their economies have grown. 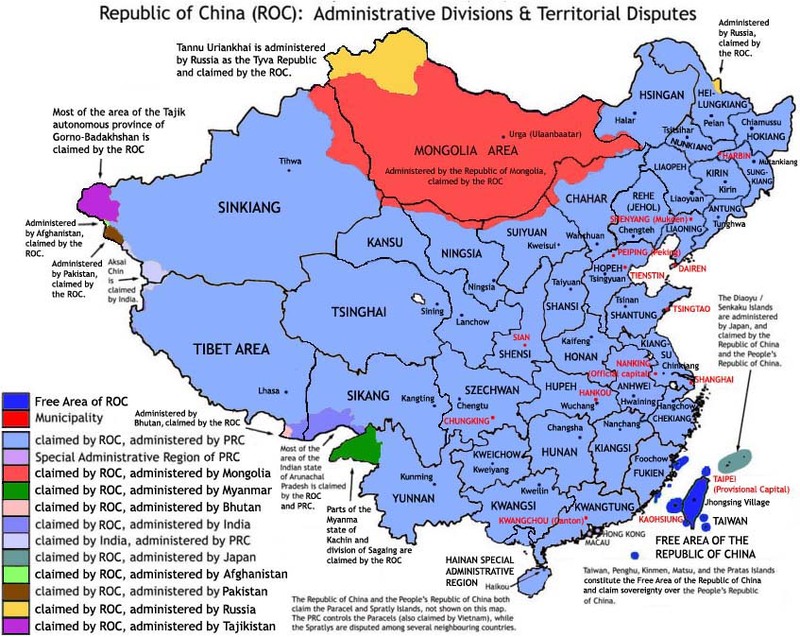 It really is worth noting that while East Asia has been dominated by China, South Asia is dominated more so by India. While China might carry nearly twice the share in miliary and economic dominance in East Asia, Japan lingers, maintaining at least half of what China has. 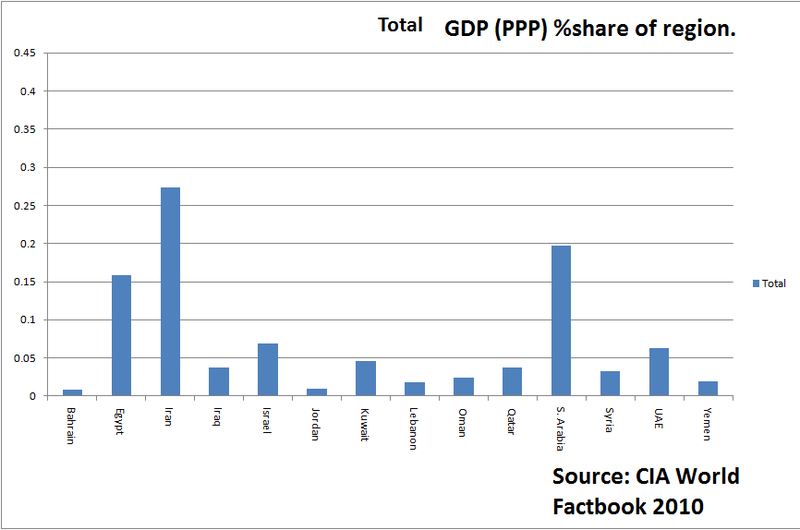 Pakistan, on the other hand, hardly competes with India economically or militarily. 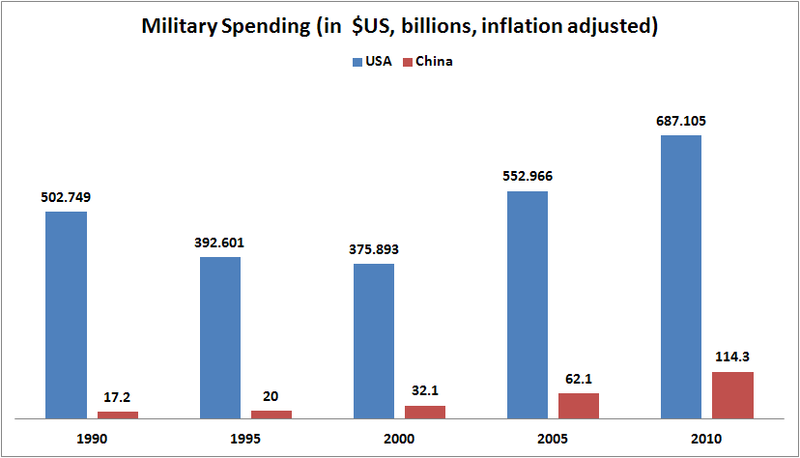 India spent ~6.6x as much on its military in 2008 compared to Pakistan. Shockingly, South Korea’s military and economic rivalry with China is more closely matched than Pakistan’s rivalry with India. 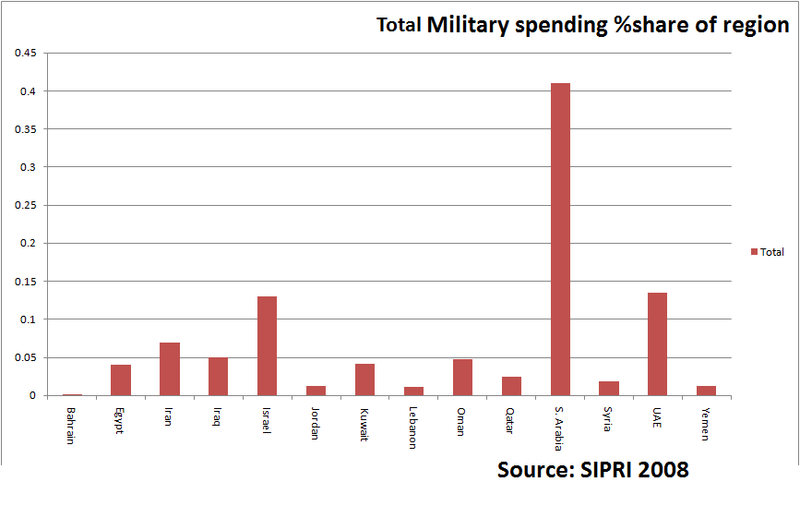 But Pakistan continues to spend a higher percentage on its military despite its economic decline. 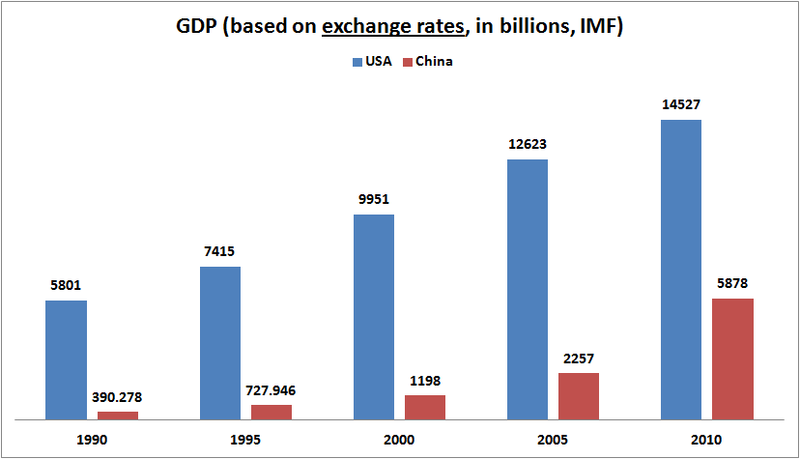 Perhaps the conflict with change in the next decade, depending on how badly Pakistan feels threatened by India’s rise.